I took several shots of some lilies yesterday and finally settled on this image. 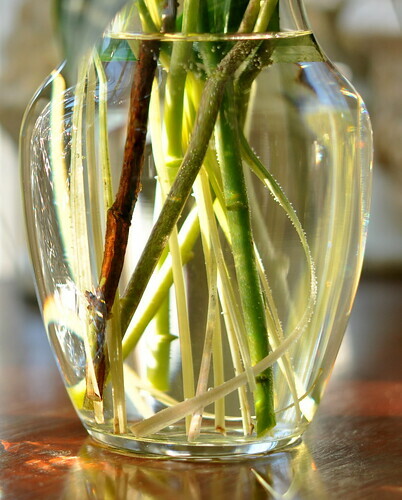 Then I noticed sunlight hitting the stems and photographed them for a change. Sounds crazy, but I kind of like this shot…. 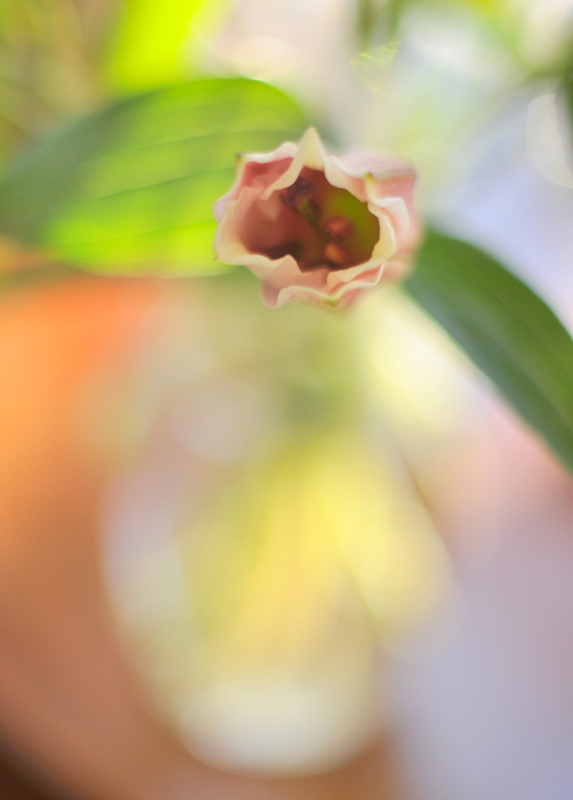 Have I mentioned that I have a new 50mm 1.4 lens? It’s taken some getting used to, but I am really starting to like the wonky things it does when I shoot with the aperture wide open. Depth of field is taking on a whole new meaning for me. Which one do you all prefer? 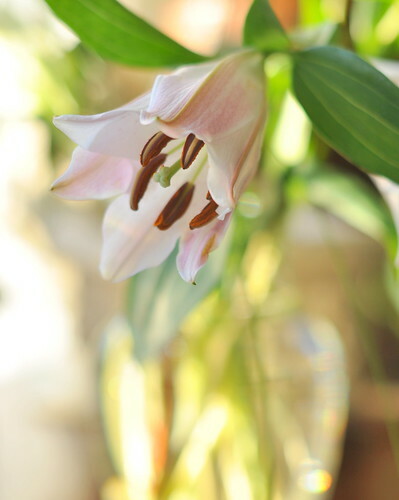 This entry was posted in photography and tagged 50mm, depth of field, glass vase, natural light, pink lily, reflection, stems. Bookmark the permalink. Cheryl, I can’t recommend buying a macro lens enough. I wouldn’t say it changed my life, but it came close. I am so looking forward to a camera with a macro lens. I like the first and second photos the best. I like the shot of the stems. It is the type of photo I might take. I find myself focusing on the not so obvious choice for a photo. You will love it. I shot with nothing else for about 8 months and was pretty addicted! I’m having to force myself to back up a bit, but it’s hard. I wanted to take macro shots for years, but had no idea how until a few years ago. You can probably imagine how frustrating it was with a point-and shoot. I prefer the stems. They remind me of a mangrove forest in the sun. Very different. I have never seen a mangrove in my life. They’re only in the tropics, right? Yes, right. I have seen them in- (fantastic botanical garden) and outdoors. All shots are wonderful, but I actually like the stems the best. Something different. Very cool! Lilies are my very favorite. I never would have thought to try to capture the stems. What a lovely shot. 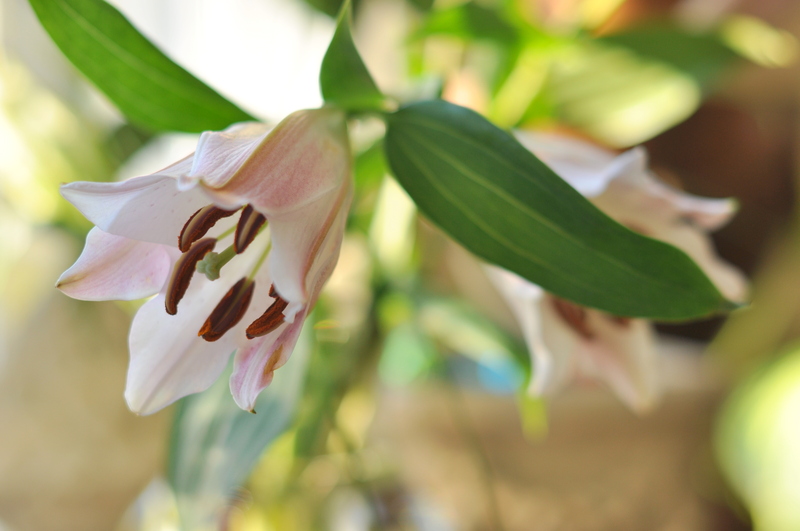 Beautiful series of shots, I love lilies, they are such a beautiful flower and you captured the essence of that beauty!